I've been doing a little baking over the last few weeks and, although I don't have any recipes to share today, I'm hoping to tweak a few I kind of like so I can get them to a point where I can share them. I'm somewhat close to sharing a thumbprint recipe. Hopefully the next attempt will be the winner! They weren't bad and they sure were pretty! Then there's my donut pan. I finally tried a couple of recipes and am pretty close on one. My all time favorite donut is a chocolate glazed chocolate cake. The cake part was great on these but I still have a little work on the glaze. I also attempted a recipe for blueberry cake but it didn't turn out all all. What a shame. Looks are so deceiving! Hey, if you have a blueberry cake recipe for baked donuts, send it my way. 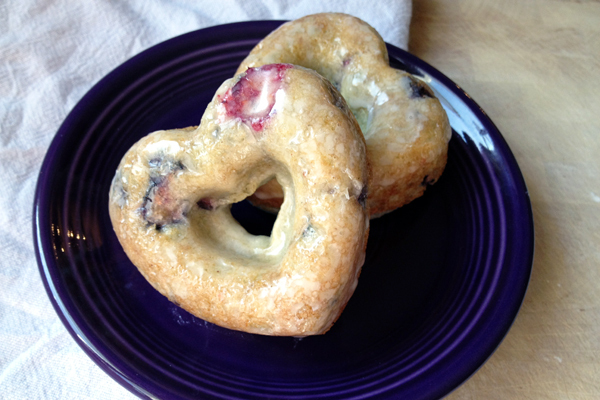 Blueberry cake are one of my favorite donuts so I would love a good baked recipe! Yum! Aren't those cookies your sisters favorite? Good luck on finding the blueberry cake recipe! They are! She has challenged me to figure out the recipe. 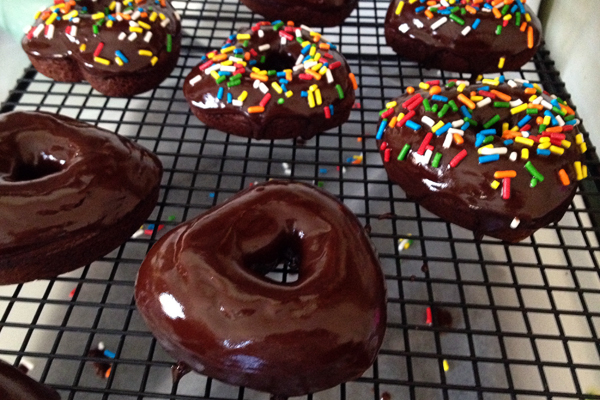 Chocolate cake with chocolate icing is my favorite donut too! Love it with a chocolate milk. Yes, I have a problem. They all look yummy! Never had thumbprint cookies. Blueberry cake donuts are my absolute favorite! I always have to warm it up in the microwave before inhaling it with a glass of milk. Mmm! I'm going to have to do that next time! 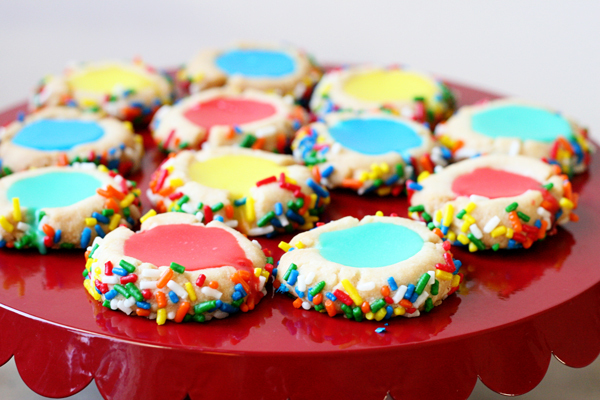 Looking forward to your final tweaked thumbprint recipe (the kids will go nuts for these pretty confections)! This is the first time I have been on your blog (found through your sister's) and I can't wait to peruse it when I have more time.